I was at school all day yesterday. I didn’t do all the work I had planned to do, but I did organize a lot of stuff, especially on my desk. As I was organizing, I came across a picture from last Sunday. It was our guest pastor’s last Sunday, and our district president was visiting, so Russell took a lot of pictures. Diane gave me a couple, and one of them was from during communion while I was at the altar. I like to look up when the pastor is giving the blessing. 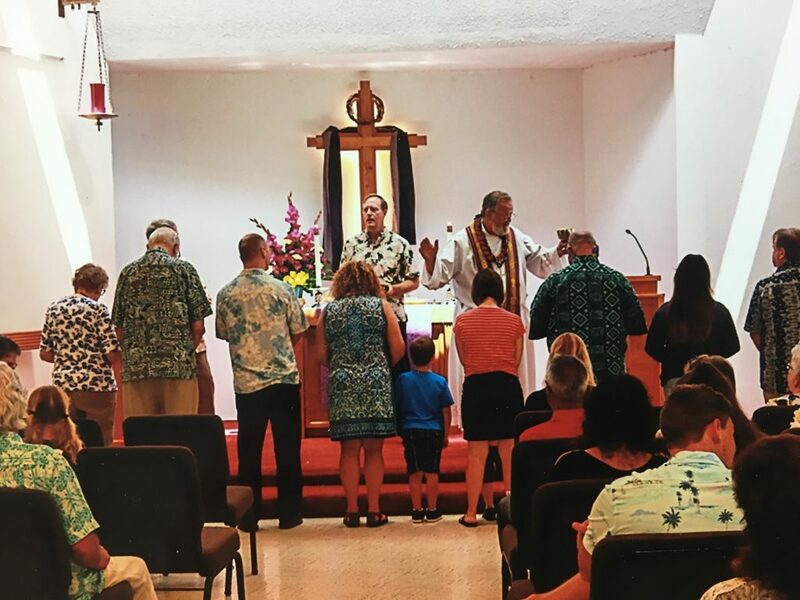 I like this picture, because it looks so much like Sunday at my church… lots of Hawaiian prints, and people together in worship. Oh, this is wonderful! I love seeing your church -it’s a glimpse into something different yet familiar.